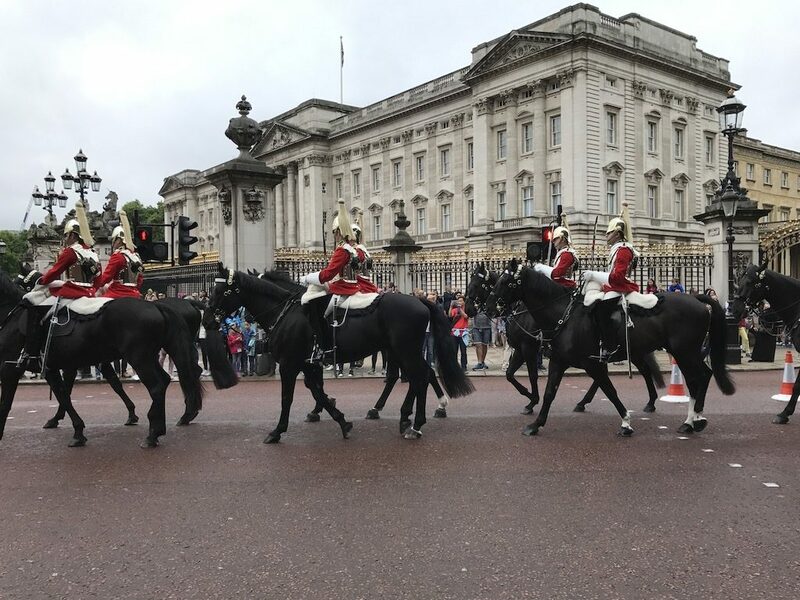 Last week I was delighted to discover a new way to visit London. Thames Clippers, fast hydrofoils, regularly ply the water from below the Thames Tidal Barriers up river to the Tate Millbank. London’s irregular street pattern provides a very picturesque route to travel. But this picturesque route is a slow, clogged, and indirect route to any destination. One soon finds that the best way to travel in London is either underground by the Tube or on the water aboard a Thames Clipper. Big Ben from a Thames Clipper. 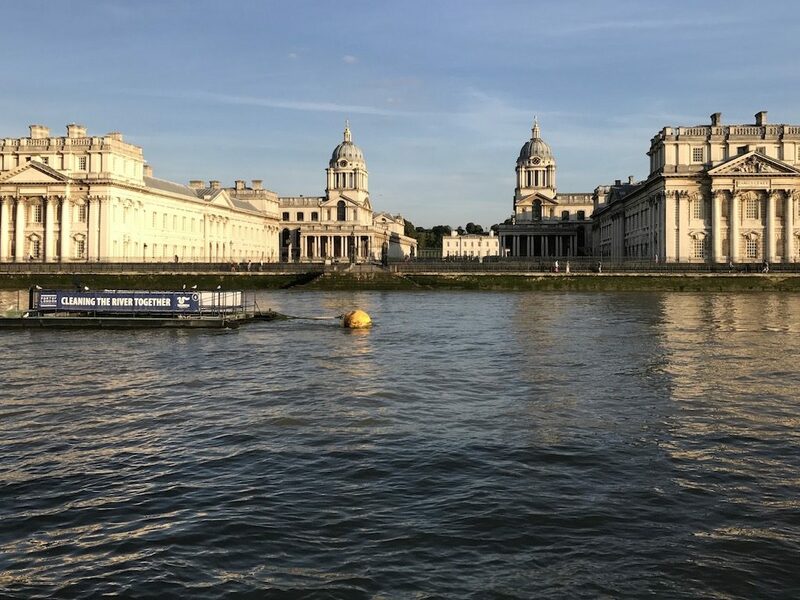 Greenwich Palace from a Thames Clipper. 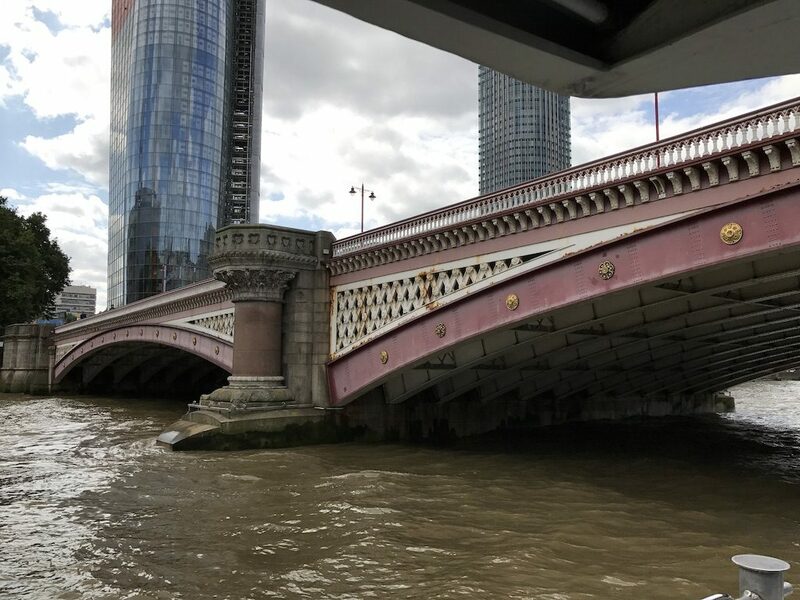 It was easy to board a Thames Clipper at Westminster Pier by Parliament and travel downstream to London Bridge, and then a quick walk to my son Justin’s family apartment near Tower Bridge. Most people opt for the enclosed main cabin, but I find the best viewing from the open seating at the stern. There are also many photo opportunities outside in the stern, rather than through the windows of the main cabin. Blackfriars Bridge, Thomas Cubitt, 1869. 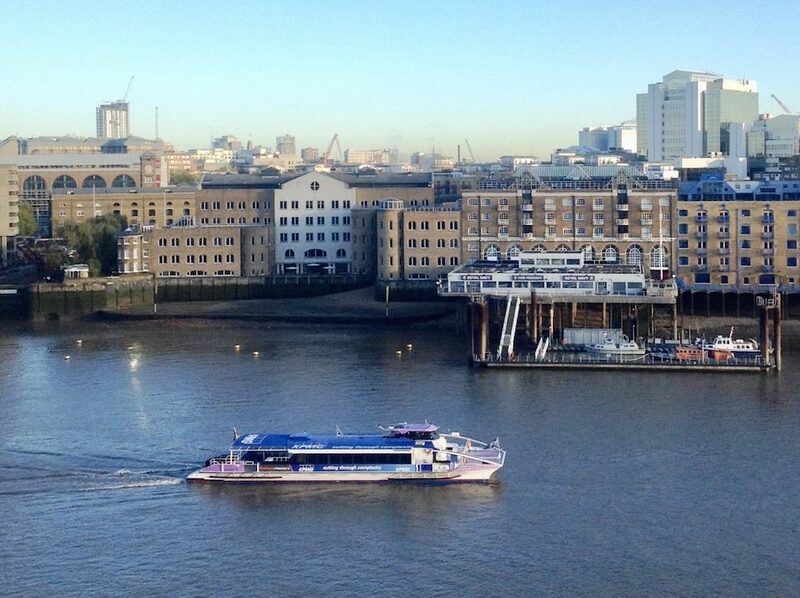 Other boat options available at the river piers include sight-seeing boats with tour guides. These boats look dirty, and the tour guides are far below the high level of Chicago Architecture Foundation docents. It is easier to pick up a guide booklet to find out what you will see along the river. 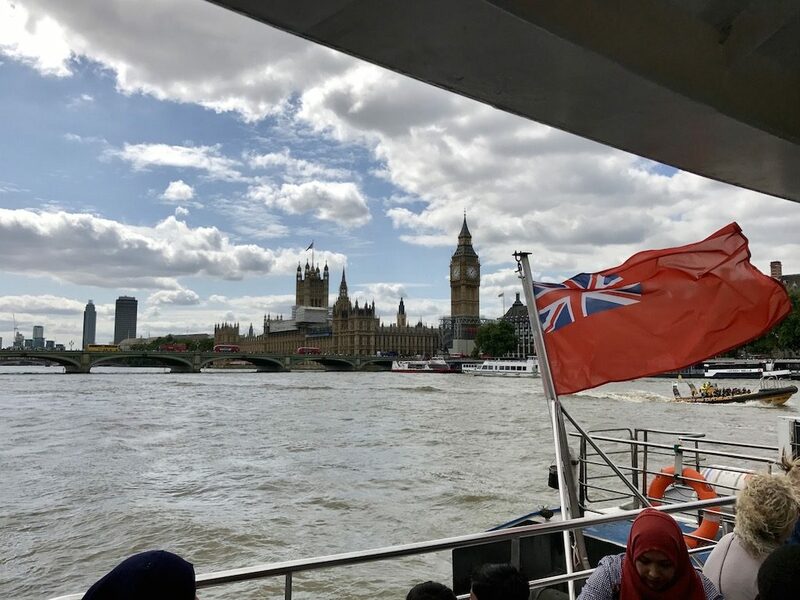 The Thames Clippers are primarily designed to provide water taxi service, but I have found that they also provide a scenic pleasant ride for the London visitor. Pam and Tom Sheffield supported a video, The Remarkable Miss North, about the life and work of Marianne North, a Victorian Botanical Painter. 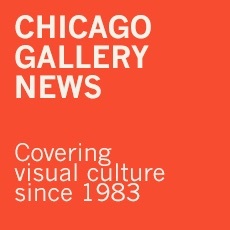 The video was shown in Chicago earlier this year and was fascinating. After viewing the video, the Marianne North Gallery became a must-visit destination when I would next be in London. Justin, my son, and I were fortunate in being able to tour Kew and the Marianne North Gallery with Jack Andrews, who produced the video, and Jo Ellams, of Kew Gardens. 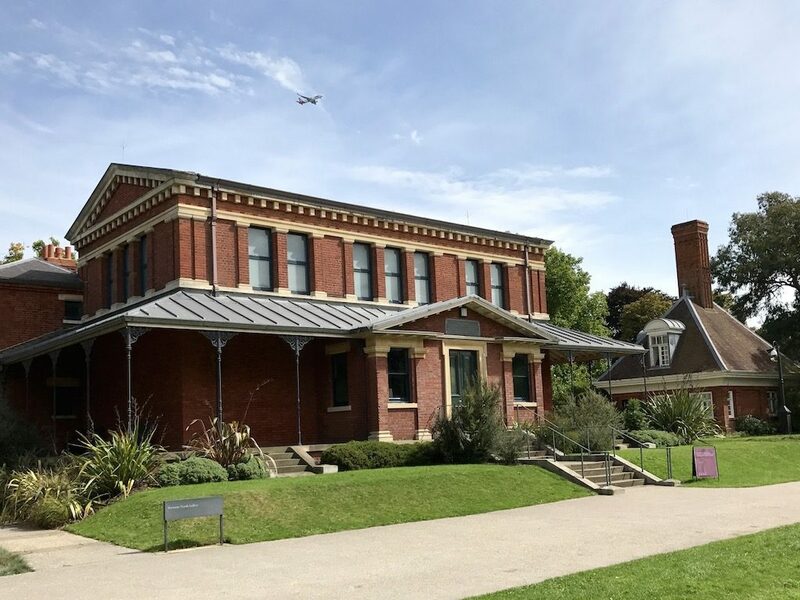 Marianne North presented Kew with 832 oil on paper works and then supervised the design of a gallery building to exhibit them. Interior, Marianne North Gallery, Kew Gardens. The Gallery is a very interesting place to visit. You walk through the entrance and immediately your eyes are greeted with an array of exotic intense colored plant illustrations. Being oil on paper, they are unfaded and as intensely colored as when they were painted some 140 years ago. 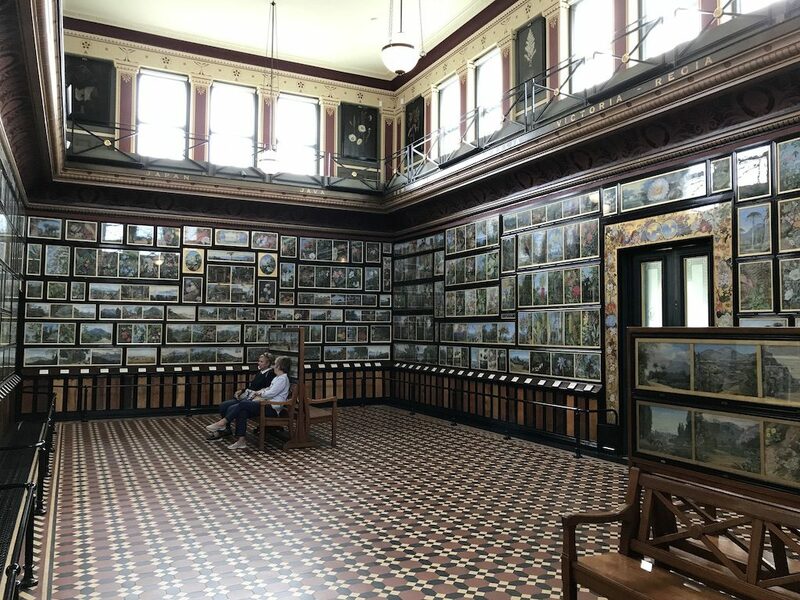 The Marianne North Gallery is a wonderfully intact insight into the mind of an extraordinary nineteenth century self-taught botanical painter. 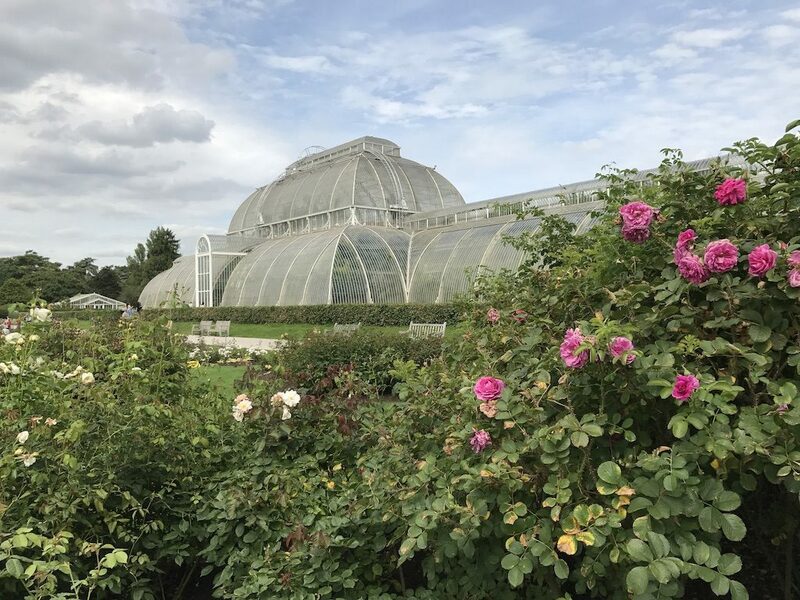 Kew and the Marianne North Gallery are now on my permanent list of must-visit London attractions. Between 1717 and 1726, Sir James Thornhill painted the ceiling of the hall of the new Royal Hospital, established for men invalided out of the navy. 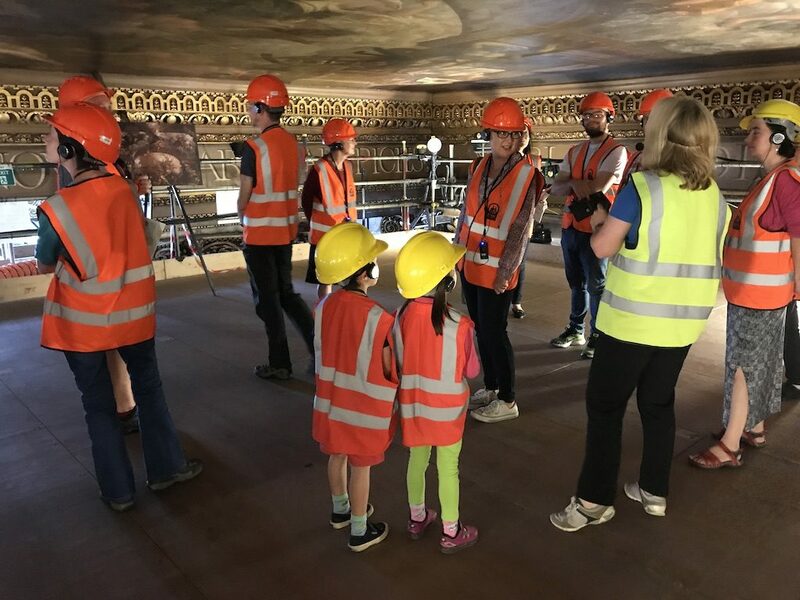 The painted walls and ceiling of the Painted Hall, after nearly 300 years of constant occupation, are now undergoing a thorough meticulous restoration. Painted Hall Ceiling Restoration Tour, Greenwich Palace. Inside the hall, a scaffold has been constructed to access the ceiling on an upper floor, suspended 8 feet below the painted surface. Tours of the ceiling restoration can be booked to allow visitors to see first-hand the ceiling painting and conservation work. A series of metal stairs give access to the restoration work floor suspended 60 feet above the main floor of the Painted Hall. 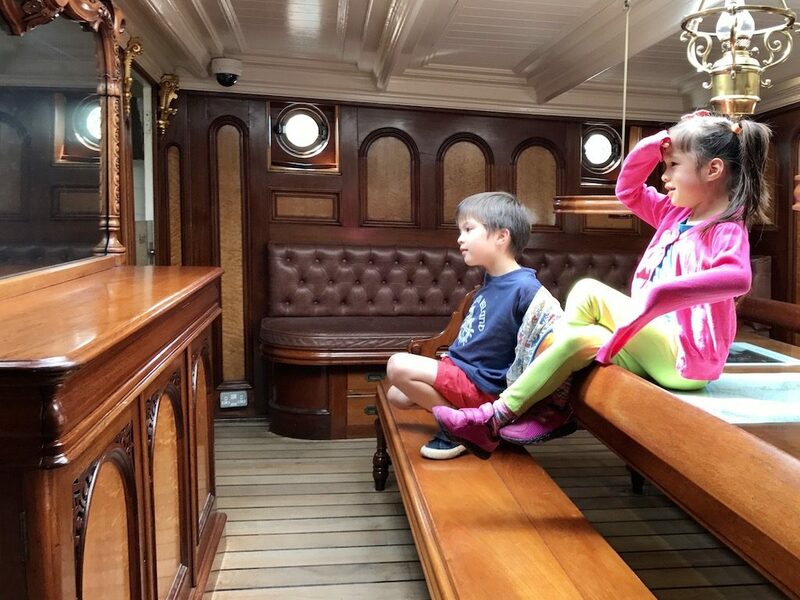 Josephine and John Craib-Cox in the Captain’s Cabin of the Cutty Sark in Greenwich. The tour is terrific for all ages. I visited with my six-year-old grandchildren, who were entranced by the tour, as were their father and grandfather. The conservation floor is also elevator accessible. To me, the most interesting exhibition in London is Canaletto and the Art of Venice at the Queens Gallery at Buckingham Palace. In 1762 George lll purchased en bloc the library and painting collection of Consul Joseph Smith. British Consul in Venice, Smith also acted as agent for Canaletto in promotion and sale of his works to English visitors to Venice after 1723. Canaletto’s 12 paintings of the Grand Canal. 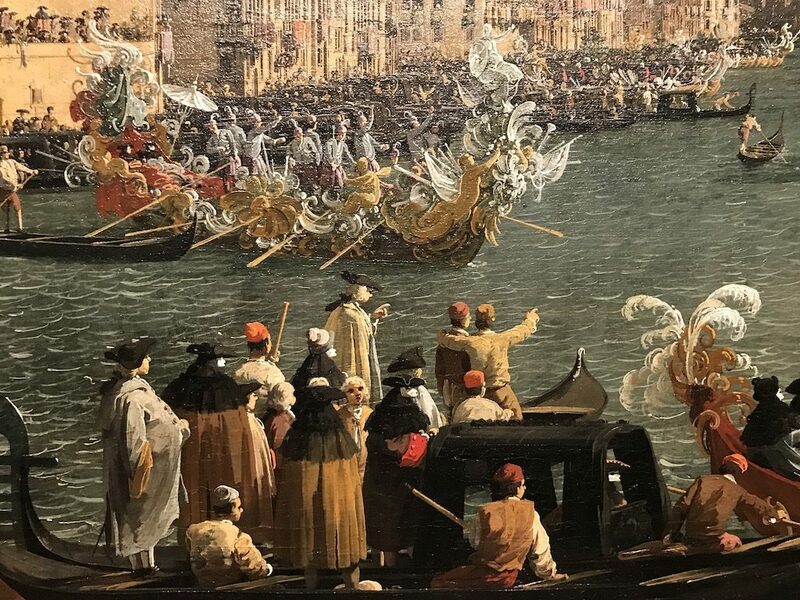 This exhibition includes all 24 Canaletto paintings included in the sale and many drawings, as well as work by other Venetian artists that were included in the sale. 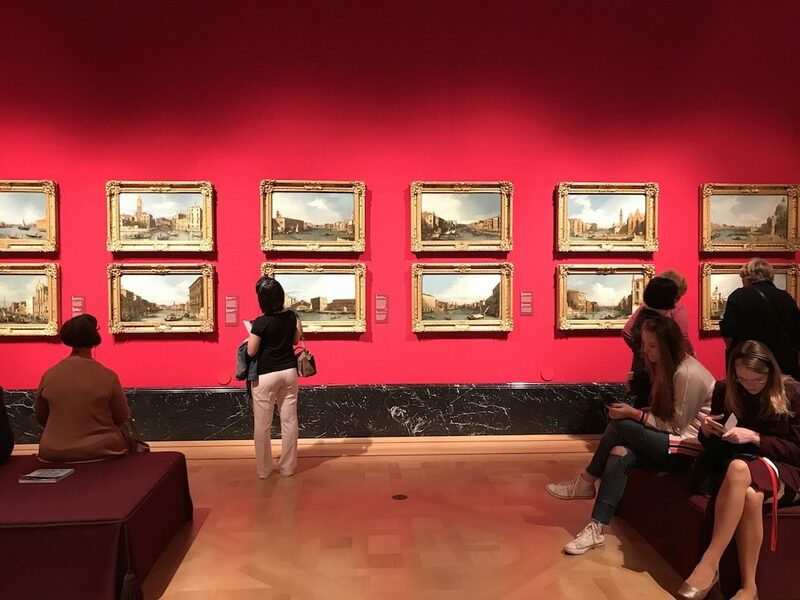 During this summer exhibition, one is able to see in one location all the Canaletto paintings that entered into the Royal Collection from the Consul Smith purchase—usually they are on display in the various Royal Residences. This is a unique opportunity to see them grouped together side-by-side with some of the preliminary sketches and notebooks that Canaletto used to compose his paintings. This exhibition shows clearly how his paintings are not accurate representations of actual views but are instead subtle reworkings for pictorial effect. It is wonderful to see a painting of a specific location and then locate a drawing that provided inspiration for the finished work. Because we purchased the complete tour package of the Palace, Gallery, and Mews, and had at the end changed our entrance fee to a donation designation, we are allowed unlimited visits for a year. 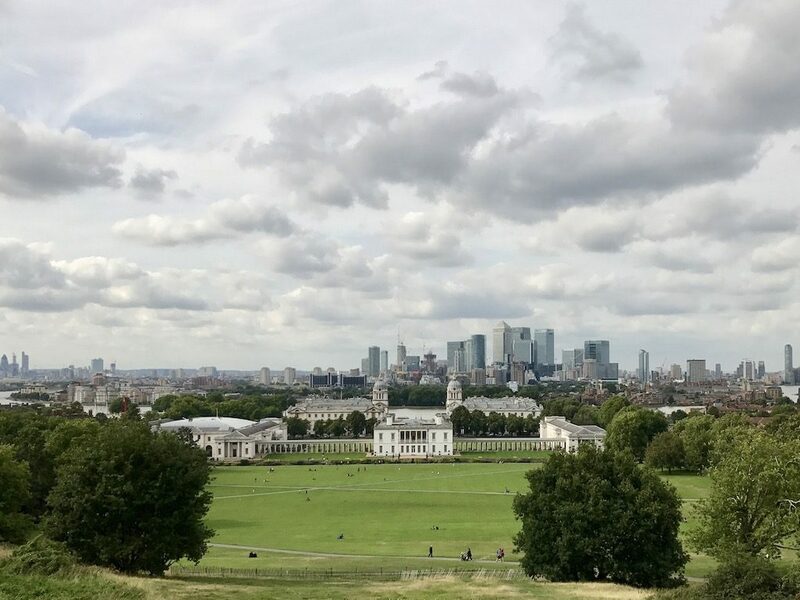 Consequently, I was able to visit the Canaletto Exhibition on five occasions during my time in London and will hold on to the ticket for my next London trip. The Gallery also provides some children’s materials for visitors. My first visit was with my son’s family, and the six-year-olds were occupied and, at times, interested in the exhibition. The Queens Gallery and State Rooms at Buckingham Palace are also elevator accessible. 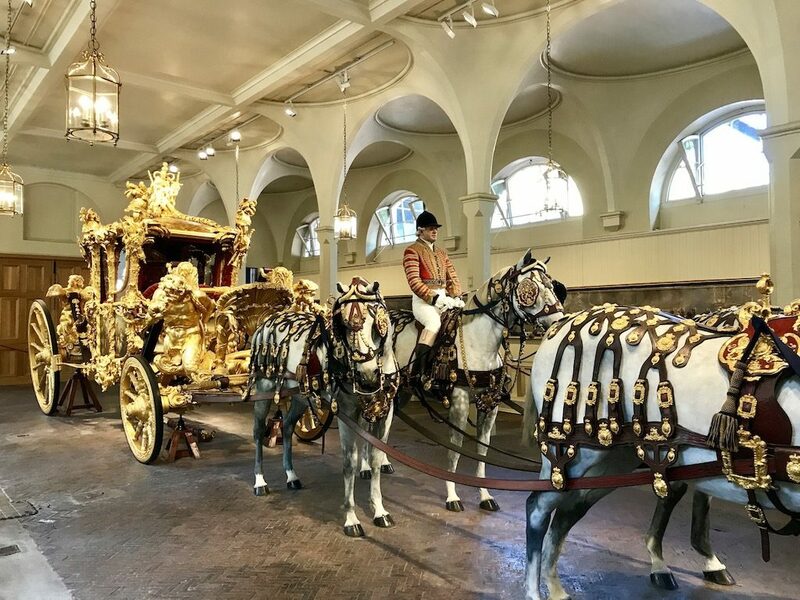 State Coach in the Royal Mews at Buckingham Palace. Live historical reenactments are offered at the Tower of London. 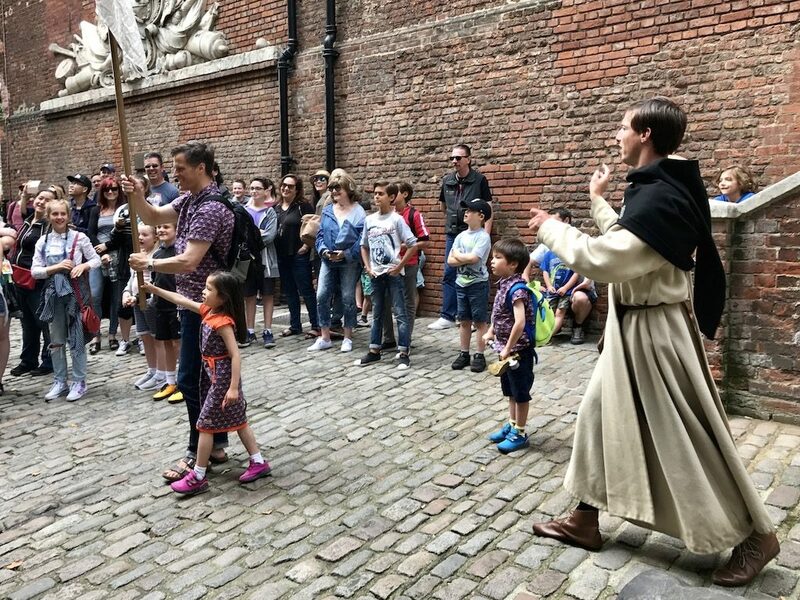 The visitor participants are led by costumed actors to guard the Tower against invaders. 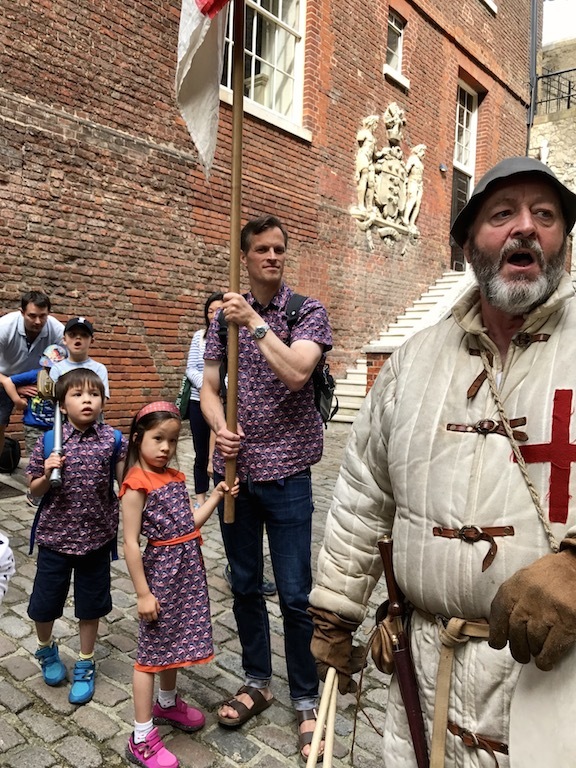 This live reenactment is very helpful in teaching a limited segment of English history centered on the Tower—also helpful in filling in gaps in my knowledge of English history. John and Josephine Craib-Cox as Standard Bearers in a Tower of London reenactment. To the delight of my grandchildren, their father was asked to carry the Standard Flag as the group moved to various locations within the Tower. This is an event that I would recommend to all, even if you are not selected to carry the Royal Standard. It is very informative, well written, well acted, and the enthusiasm of the visitor participants is contagious. Unfortunately most parts of the Tower of London have steps and are not wheelchair accessible. Josephine and John Craib-Cox participating in historical reenactment at the Tower of London.